Are you in dire need of funds? Do you have unexpected financial concerns disturbing you? 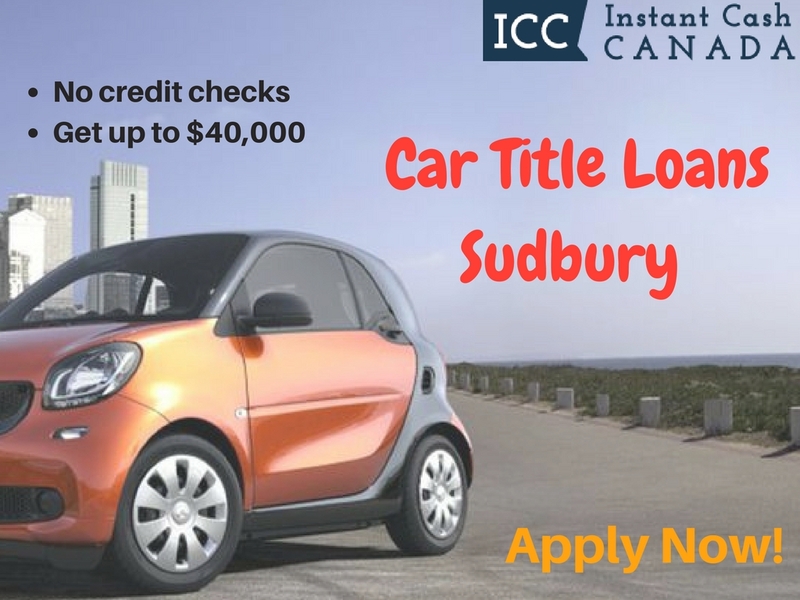 Instant Cash Canada can help with Car Title Loans Sudbury. We completely understand problems and know very well that getting quick financial aid during tough times is a blessing in disguise. We can lend an amount up to $40,000 based on your vehicle’s value and condition. At Instant Cash Canada, we have low-interest rates along with the most convenient payment options for auto title loans in Sudbury. Our monthly payments are as low as $97 with no prepayment penalties or extra charges for the loan. Our loan terms are longer and up to 4 years. There is no need to turn in your car when you loan with us; keep your car during the entire loan term. The loan provides a complete package from examining your vehicle to offering you the flexible repayment options that suit your budget and lifestyle. We don’t care whether you have good credit, bad credit or no credit at all because there are no credit checks required for the loan. The loan is simply based on the value and condition of your vehicle. The Minimum Requirements For Car Collateral Loans Sudbury! It’s Easy To Get Approved For Your Needed Cash! Step 1. Contact Us or Apply Online For Vehicle Title Loans Sudbury.